Paxon's O'tis Prince of Ocean City, "Otis", goes on the Fl circuit with Marge Good & comes home with a 5 point major! Congratulations to Keeley & George on this terrific win. "Otis" came home & was awarded another win at Boardwalk KC!! "Otis" just needs a major to finish & he is only 13 months old!!! "Otis" is a new champion at just 17 months old!!!! He is # 106 for PAXON. Congratulations to his owners Keeley & George!!! "Derek", Paxon's Lord of the Dance is WD at LIKC from 12-18 month class!!! 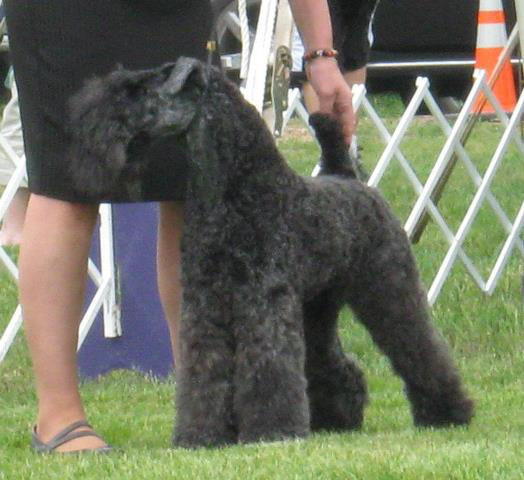 "Derek" is awarded Best of Breed from the 12-18 puppy class (over a special) at both Monmouth Co.KC's 1 & 2!!!!!! Paxon's Reagan-Lass, "Reagan" makes her debut at the Garden State all Terrier Club Match & is awarded Best Puppy!!! The following weekend she goes to the Suffolk Co. KC (2) & is awarded WB from the 6-9 puppy class. The next day "Regan" is Best Puppy in Sweepstakes & Best Puppy!!! Congratulations to her proud owners...Diane, Richard, Owen, & Julia!! !